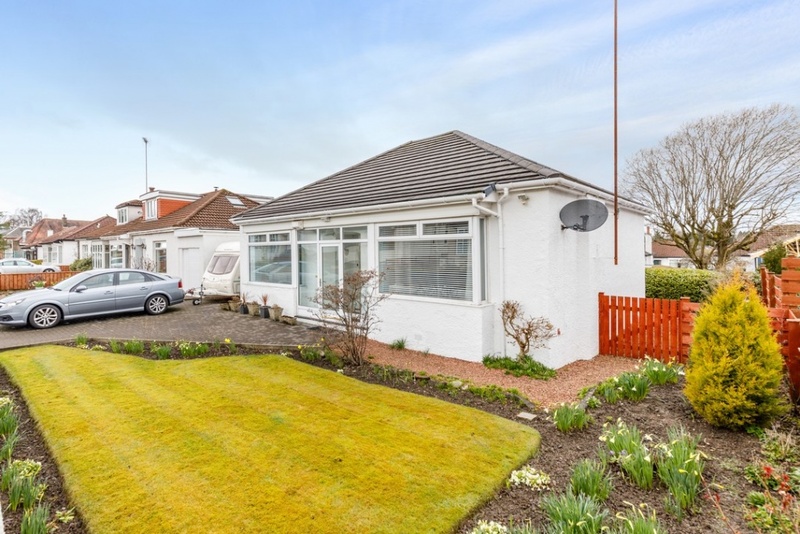 A well presented detached bungalow, located within continually popular area, located just off Eastwoodmains Road. Entrance vestibule. 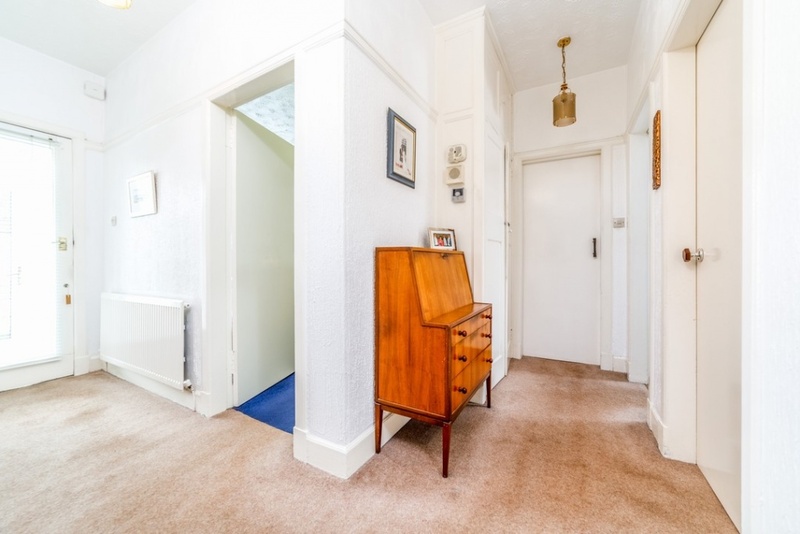 Reception hallway with ample storage cupboards. 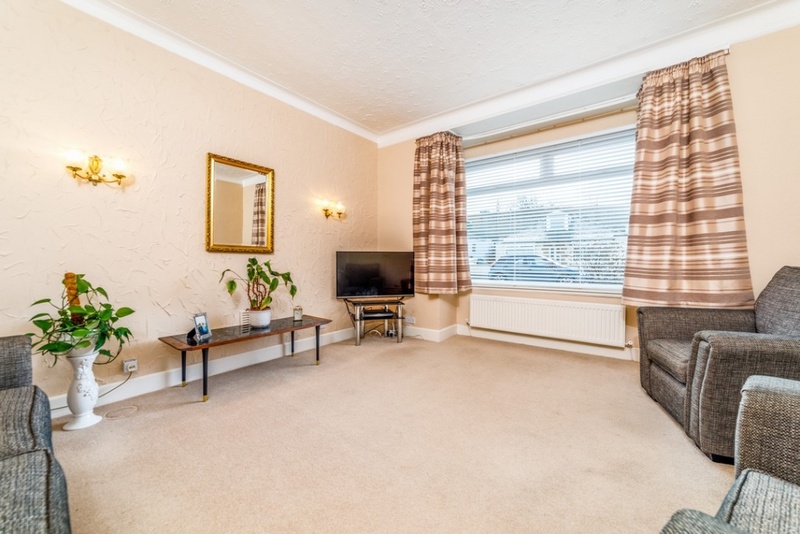 Generous bay window sitting room overlooking the front garden. Family room/ dining room. Kitchen, fitted with a range of wall mounted and floor standing units and complementary worktop surfaces. 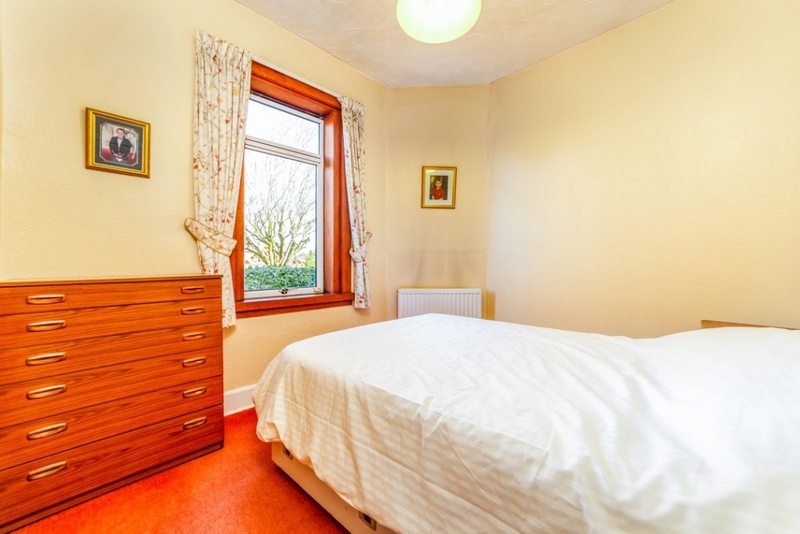 Bay window bedroom one with fitted wardrobes. Bedroom two. 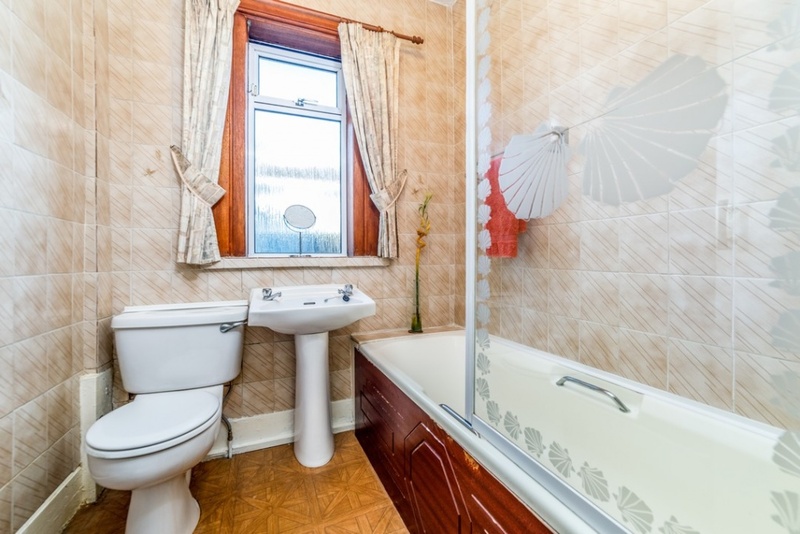 House bathroom with three piece suite, completes the accommodation. 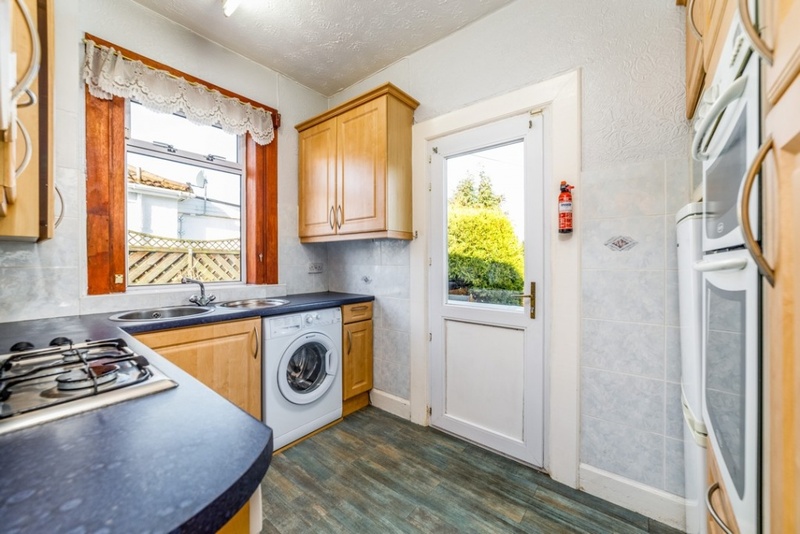 The property is further complemented by gas central heating, recently replaced boiler, double glazing throughout and an upgraded roof. 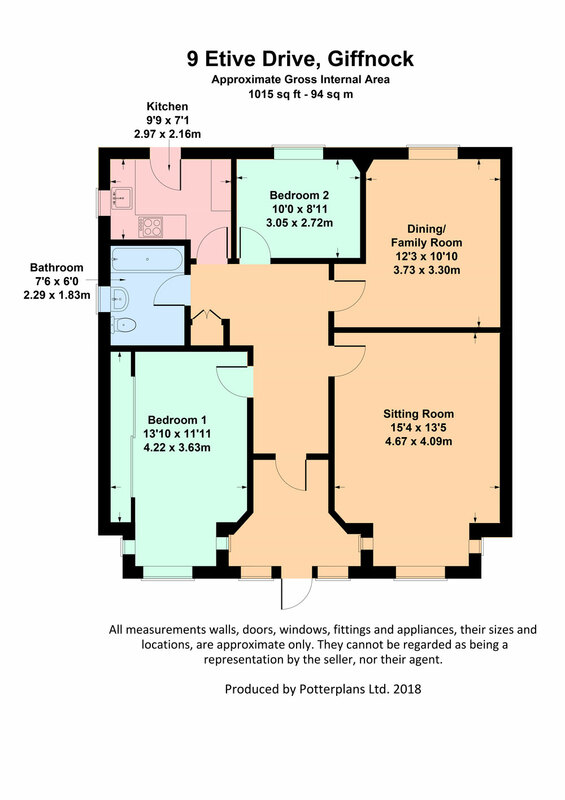 In addition, the garden grounds and ample attic space would allow further development subject to the relevant consents, if desired. 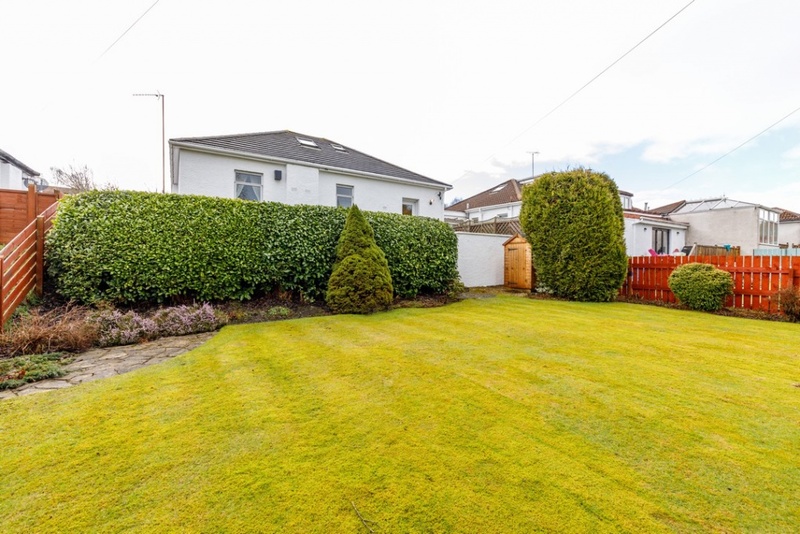 A monobloc driveway to the front and side of the property affords ample off street parking. 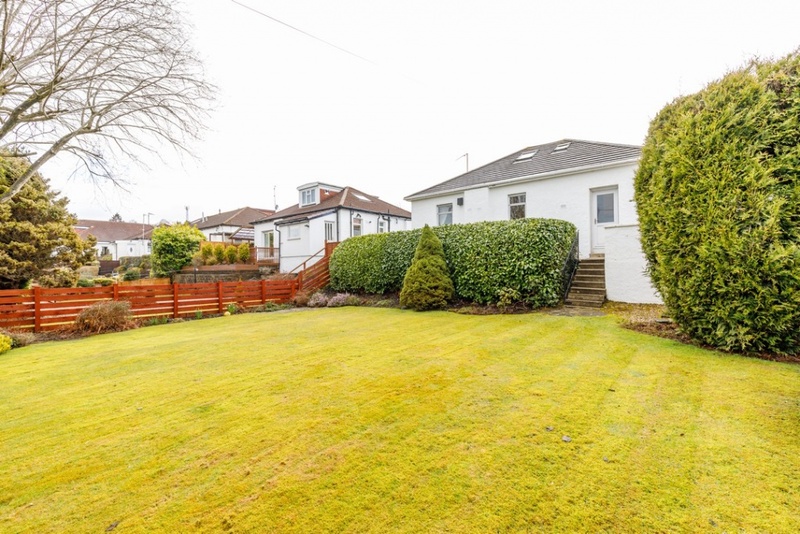 This popular suburb is located approximately 7 miles to the South of Glasgow’s City Centre and is conveniently situated for commuter access to nearby M77/M8 & Glasgow Southern Orbital. 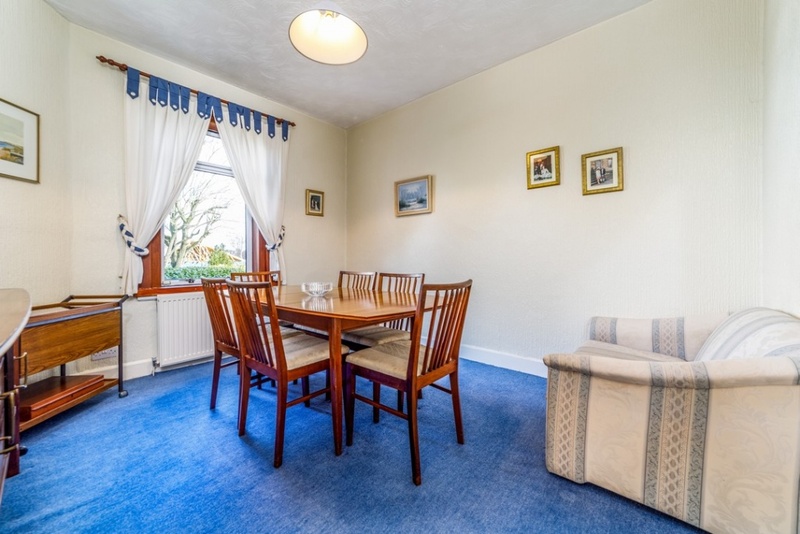 Giffnock is acknowledged for its standard of local amenities and provides a selection of local shops, supermarkets, restaurants, regular bus and rail services to Glasgow City Centre, banks, library and health care facilities. 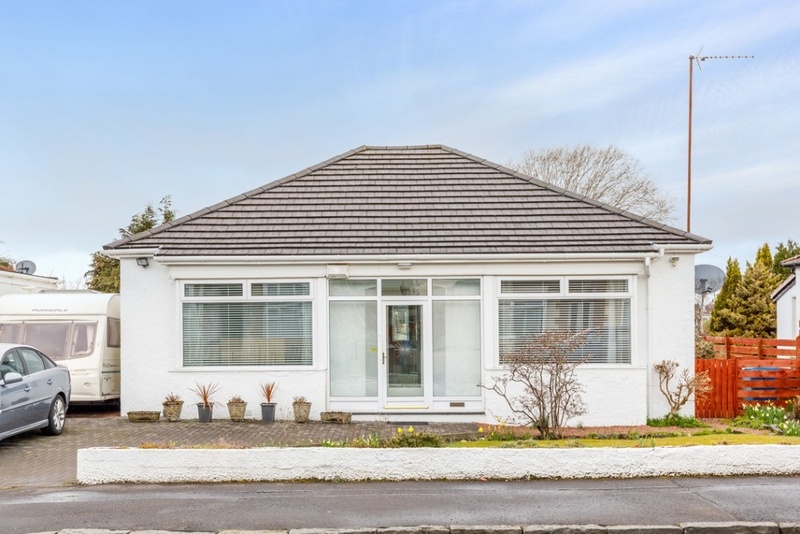 Etive Drive is conveniently located for access to local shops on Eastwood Mains Road as well as Scotland’s only Wholefoods Store, nearby Silverburn Shopping Centre and Waitrose at Greenlaw Village Retail Park, in Newton Mearns. 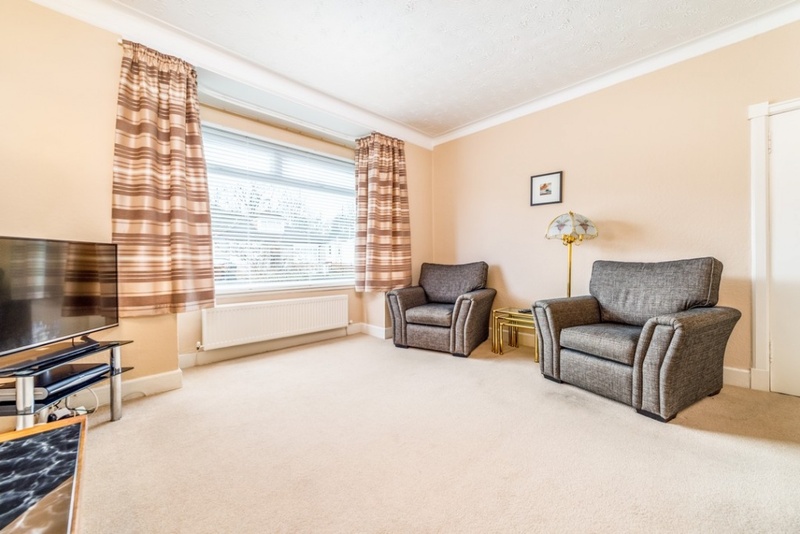 In addition, this property sits within the catchment area for the highly reputable Primary and Secondary schools, including Giffnock Primary, Our Lady of the Missions Primary, St Ninian's High School, Woodfarm High School. 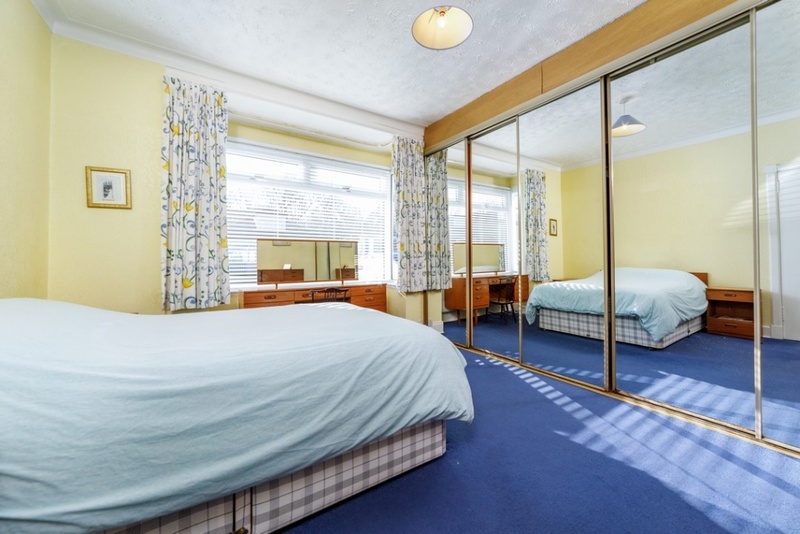 The property is located approximately 1 mile from the private Belmont House School and within easy reach of various pick up points for Glasgow’s other private schools.